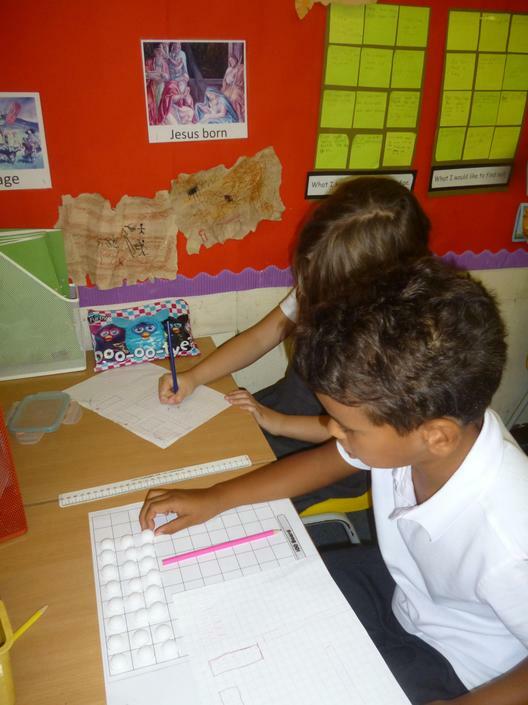 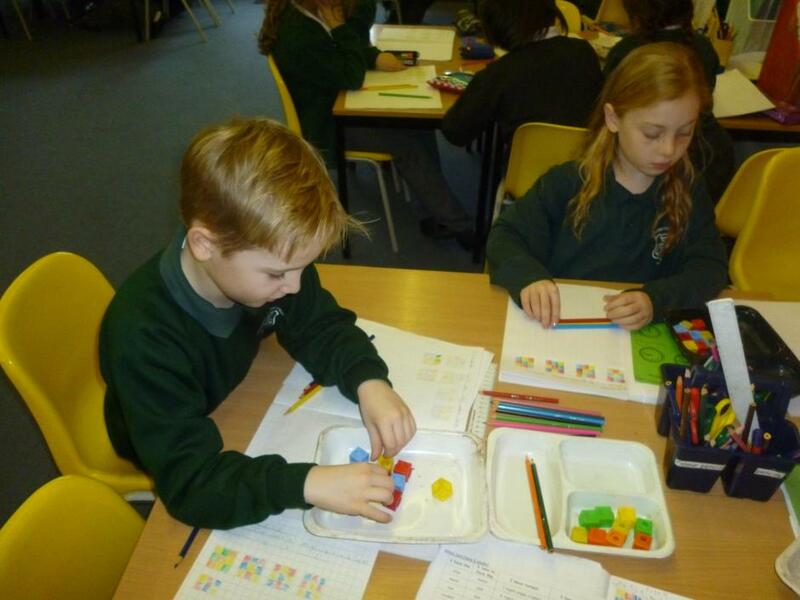 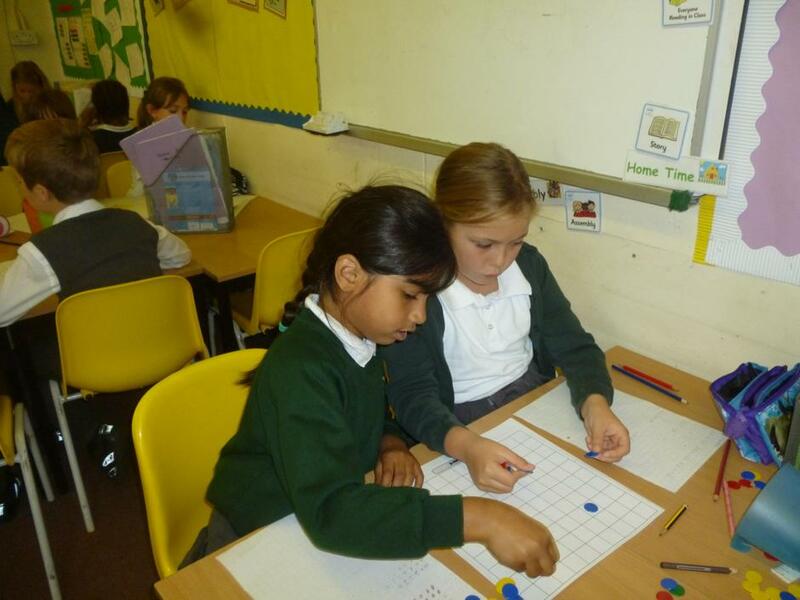 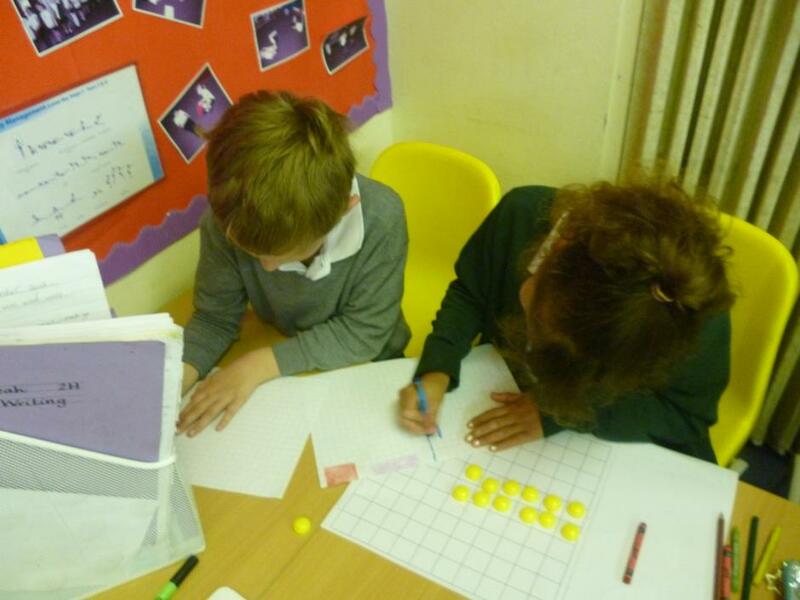 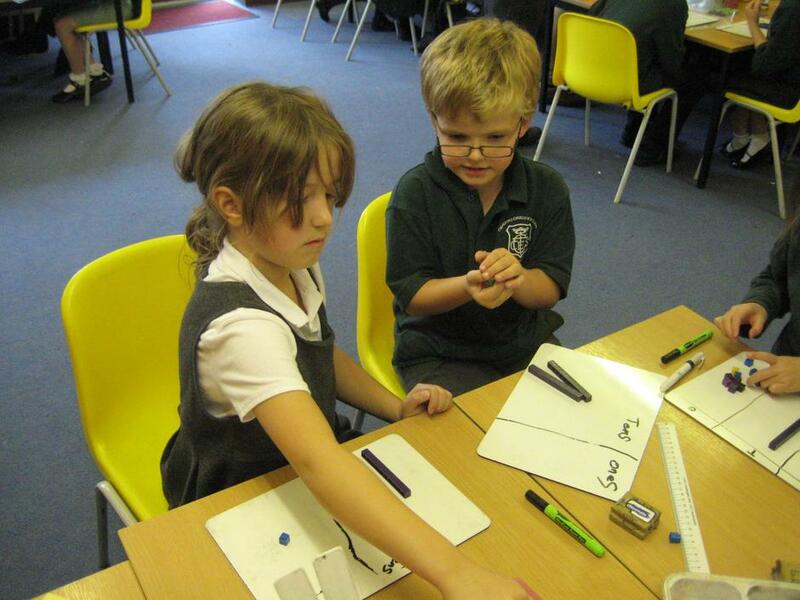 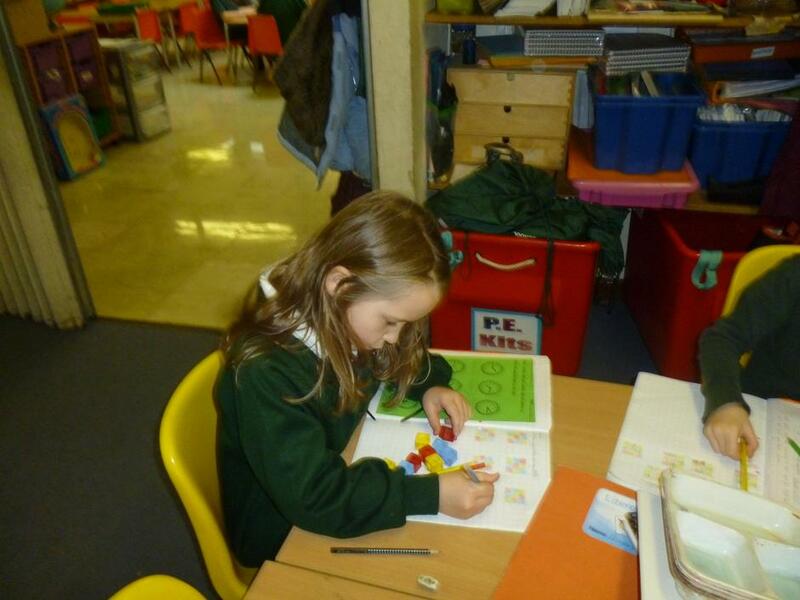 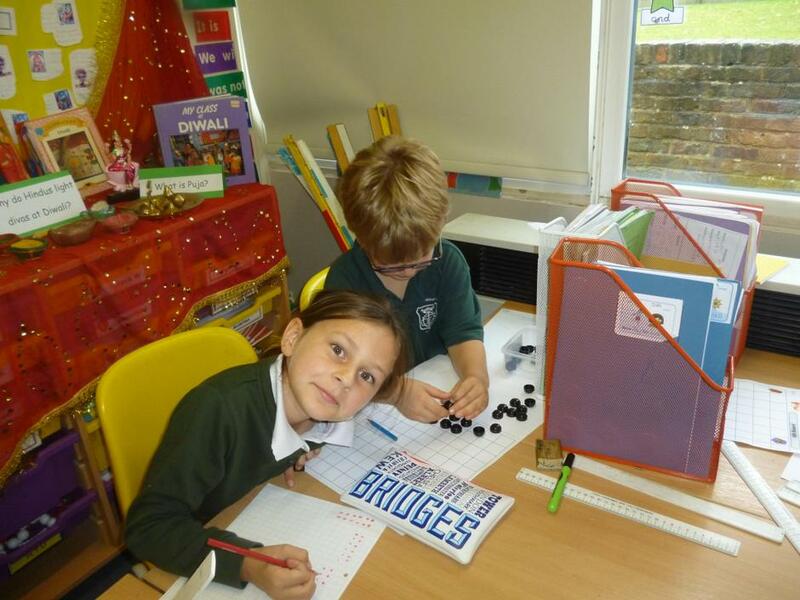 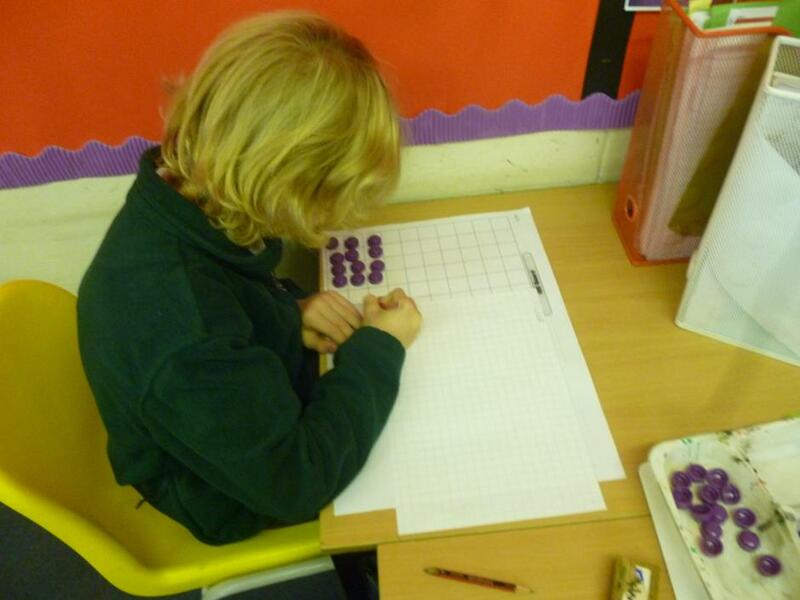 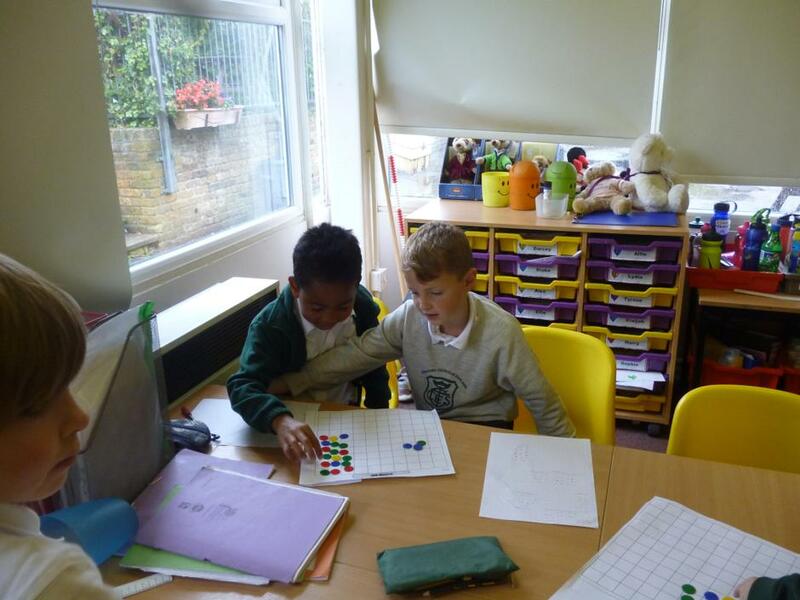 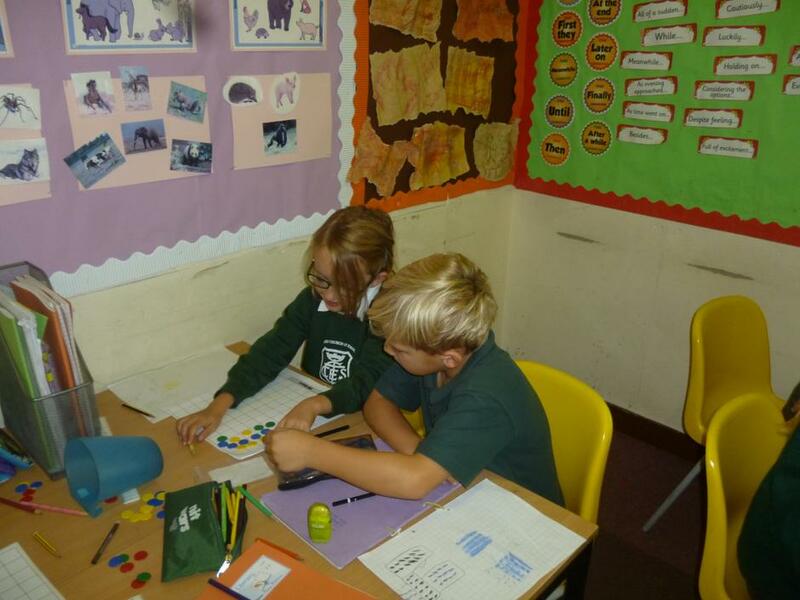 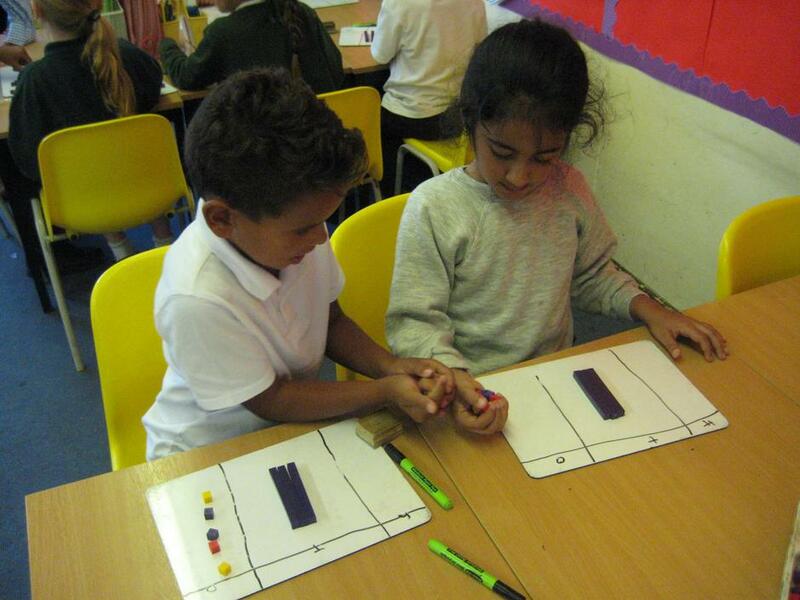 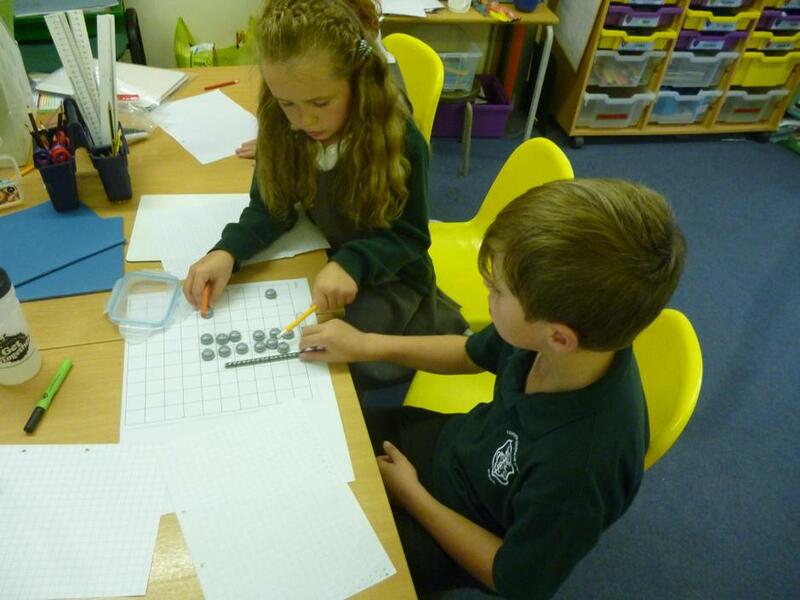 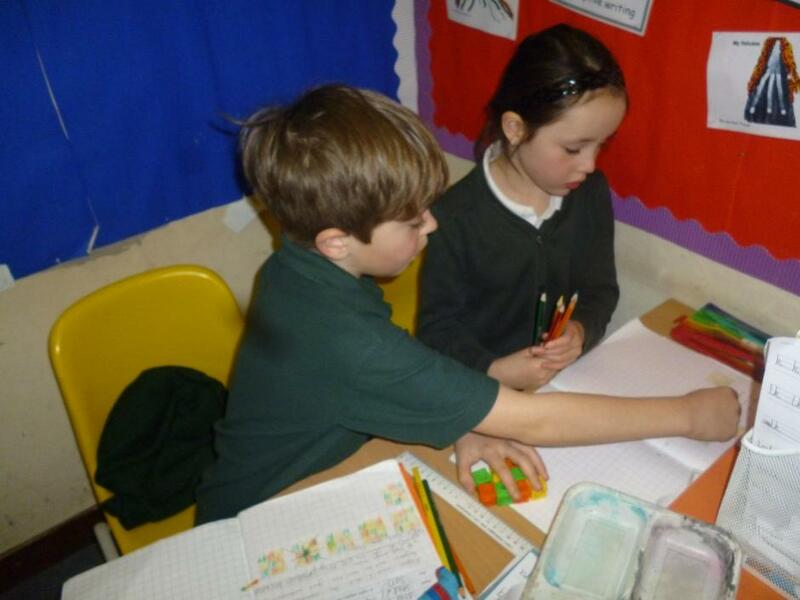 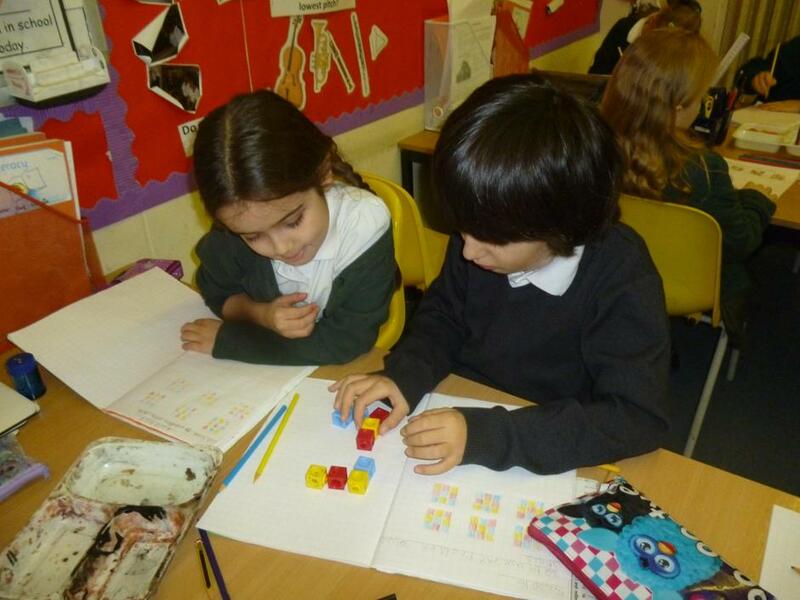 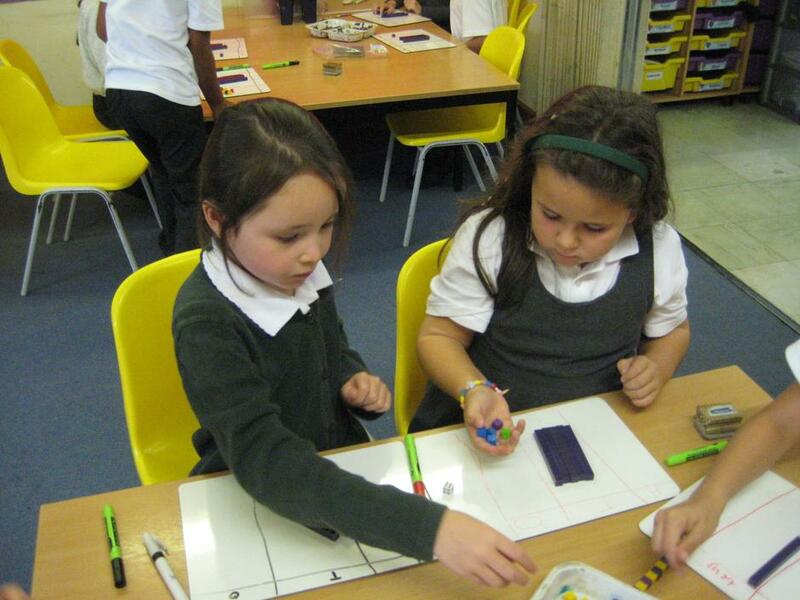 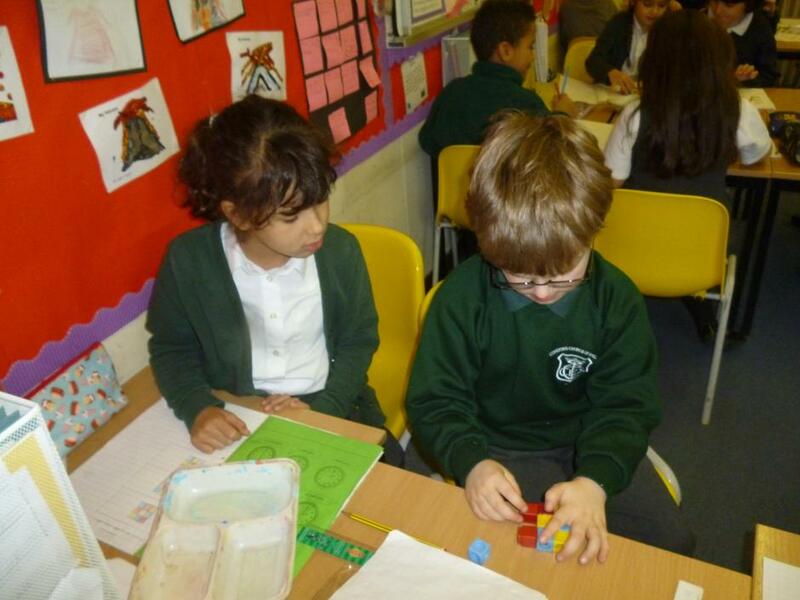 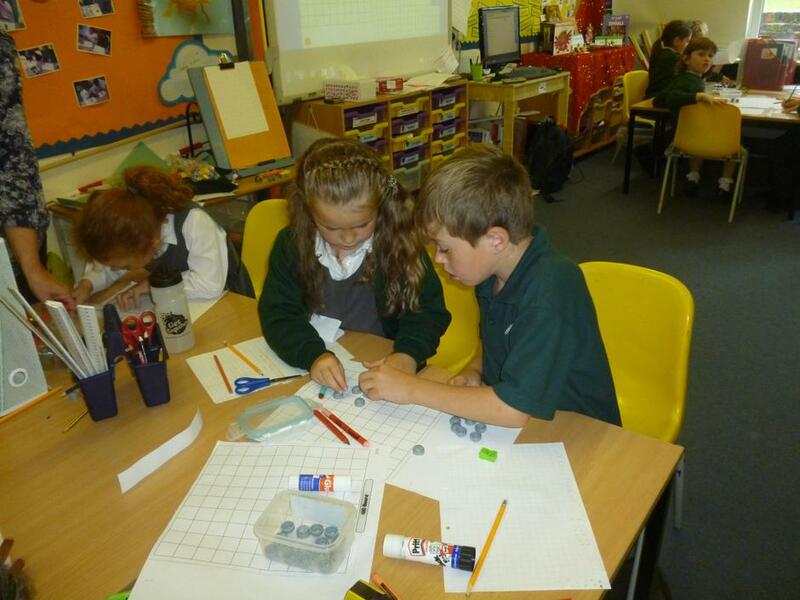 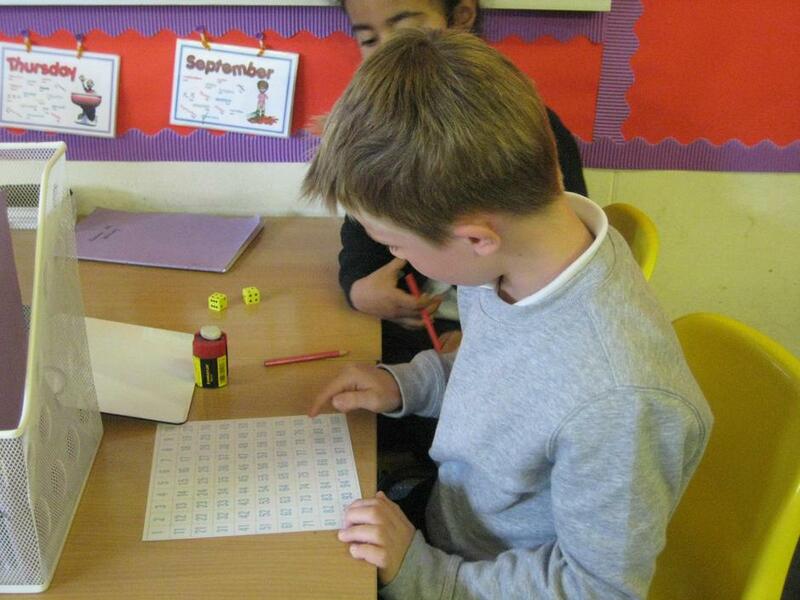 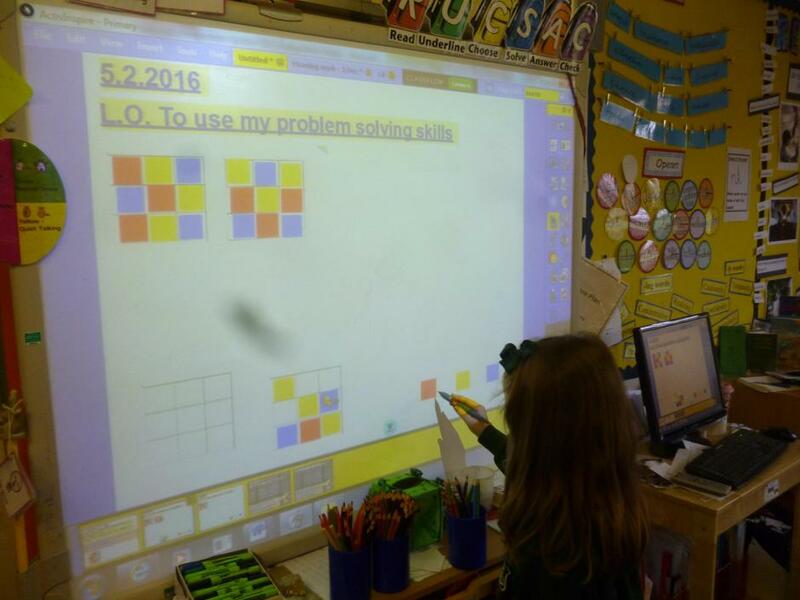 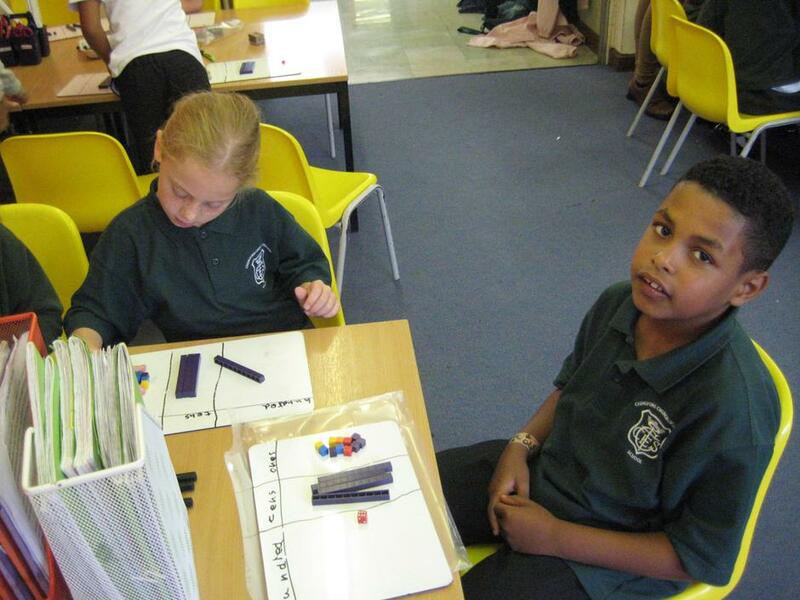 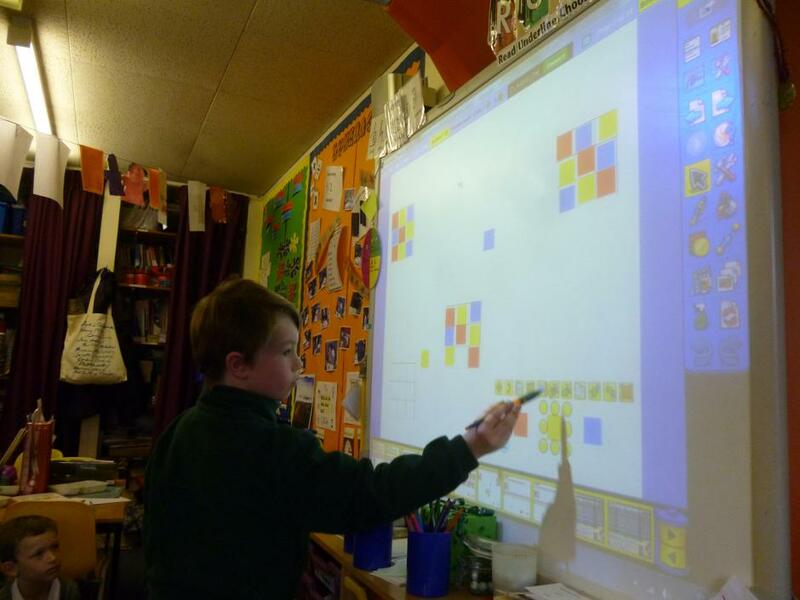 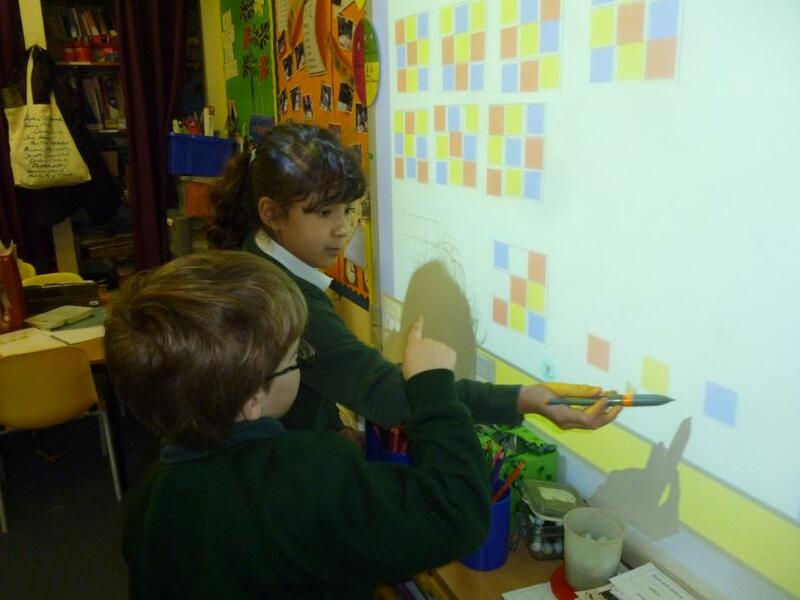 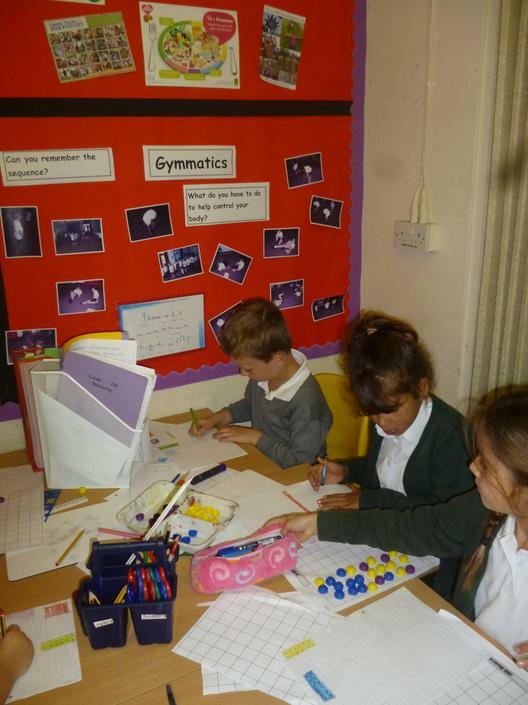 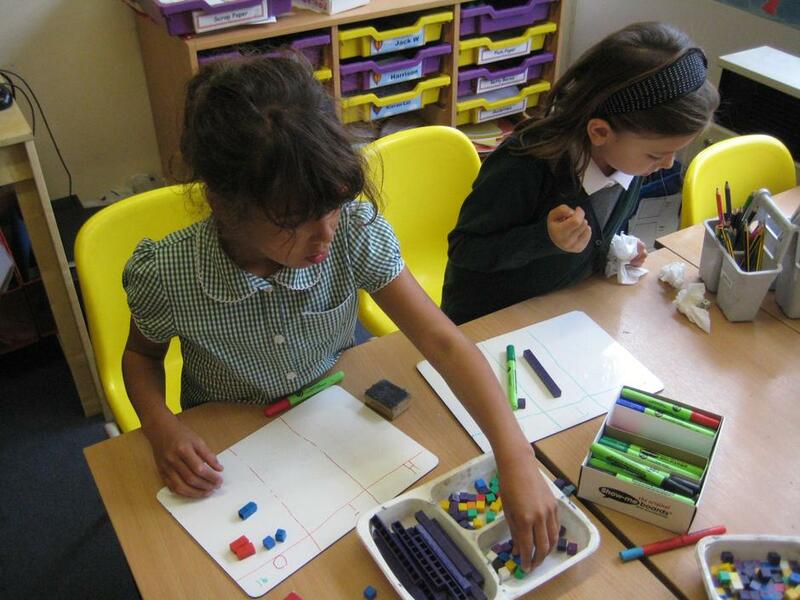 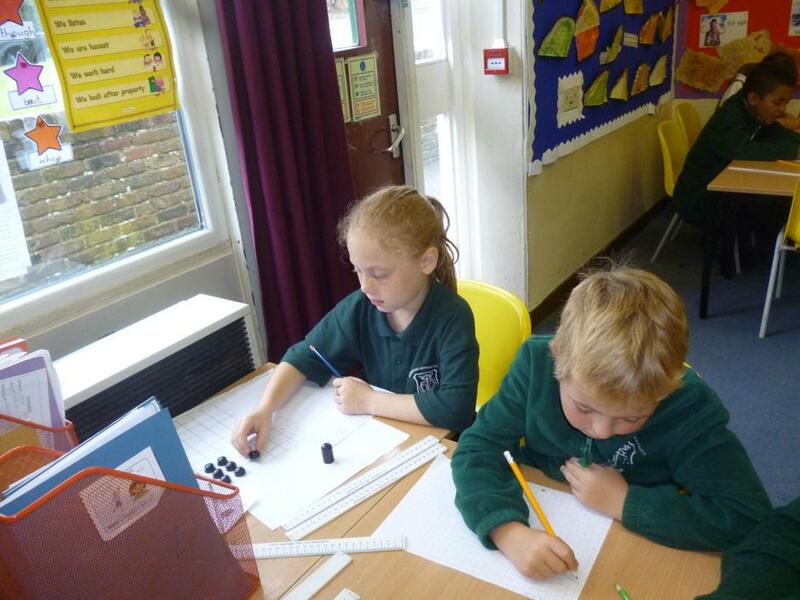 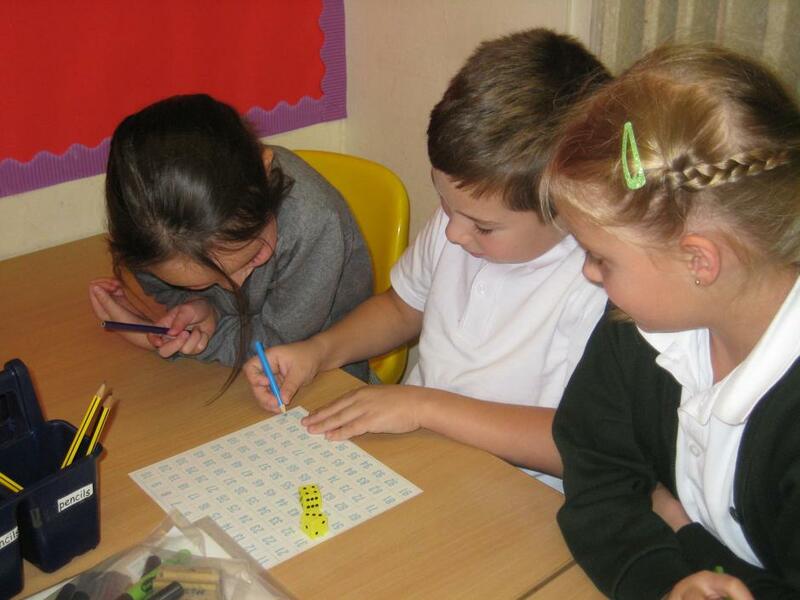 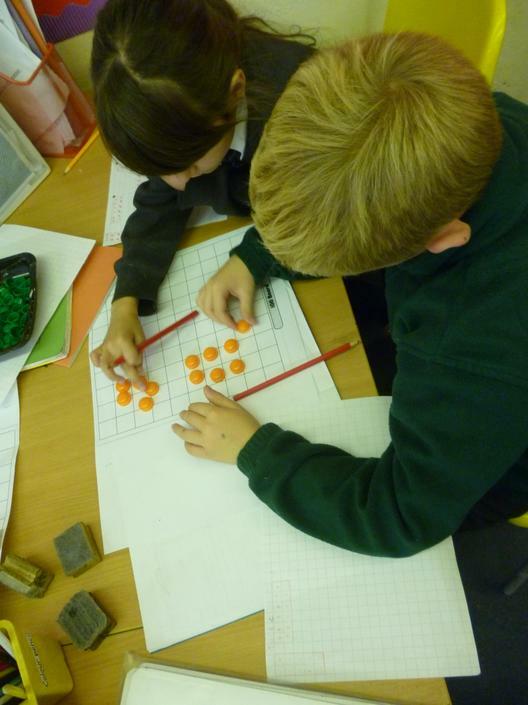 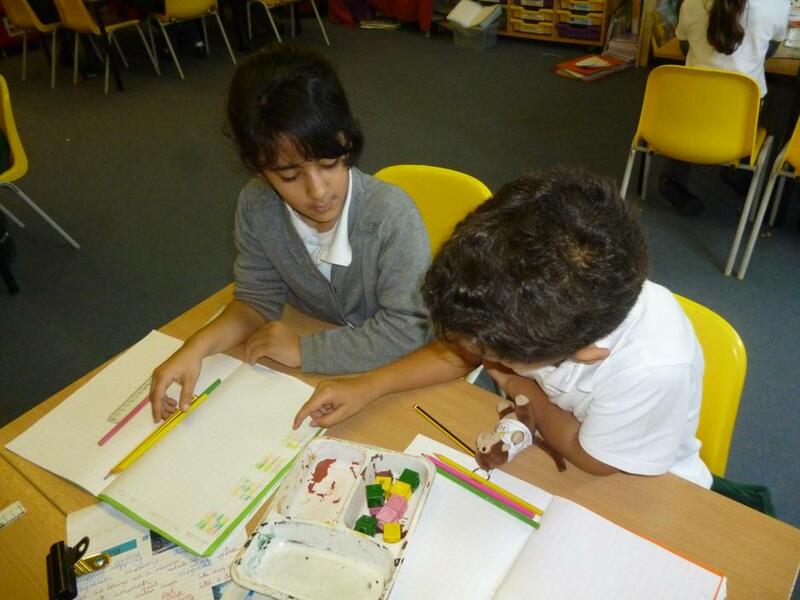 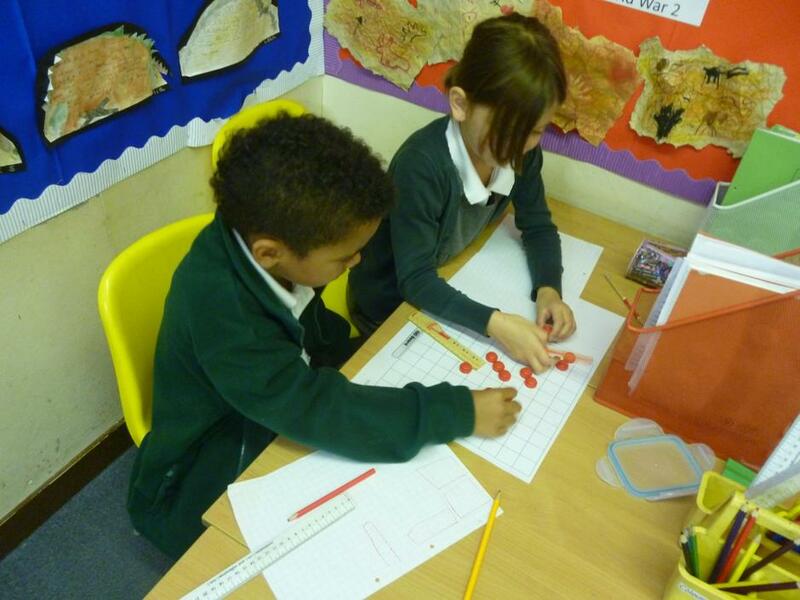 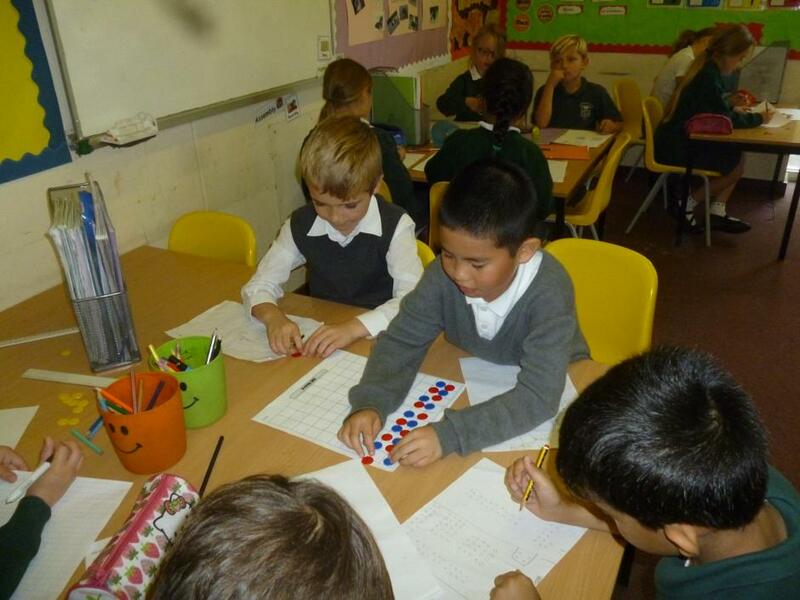 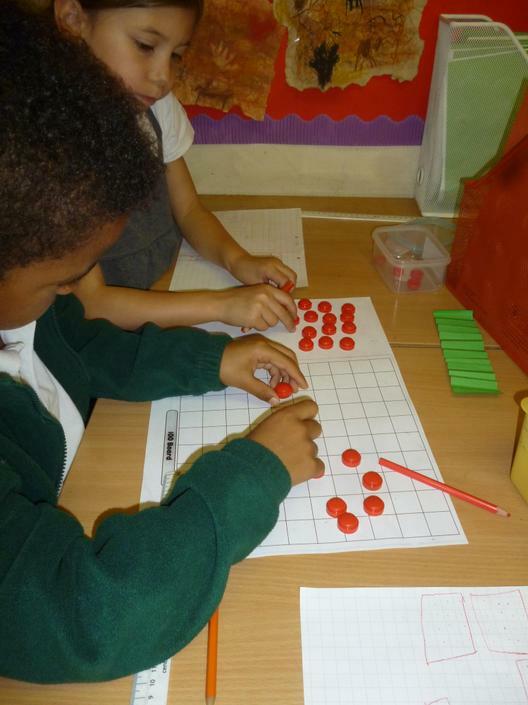 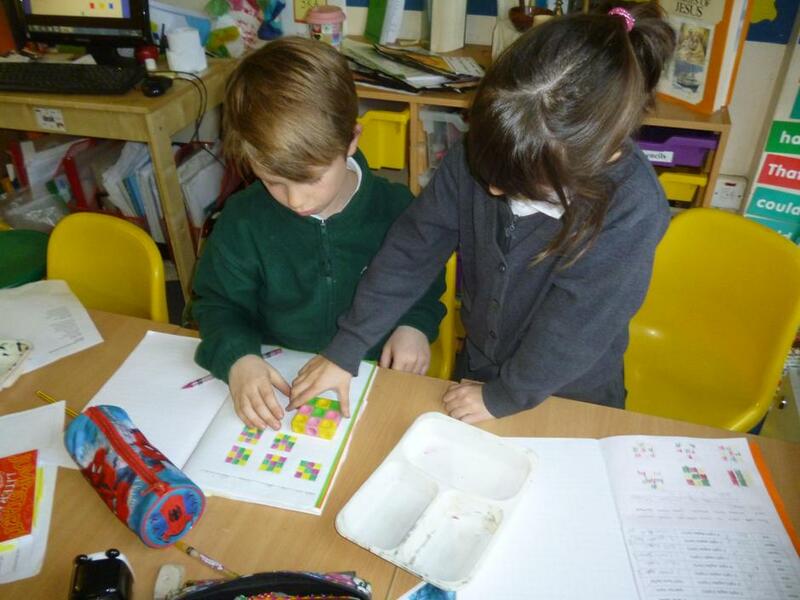 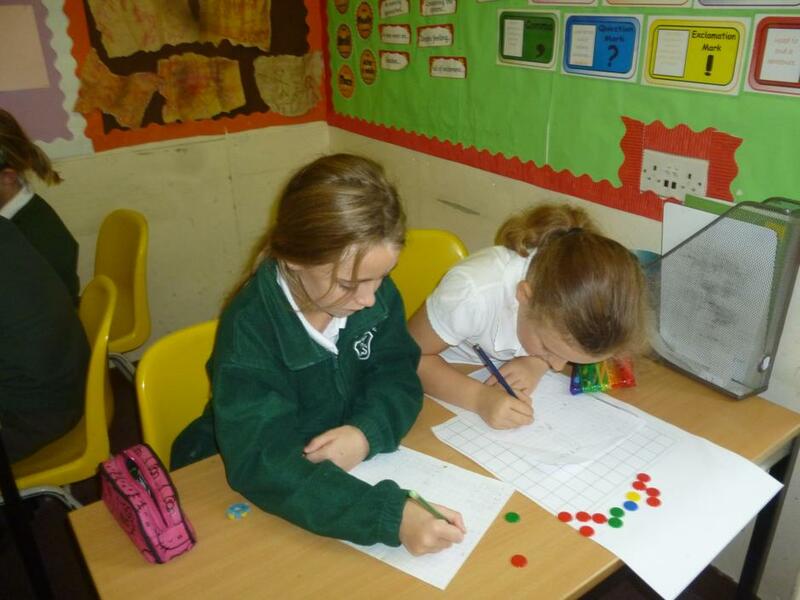 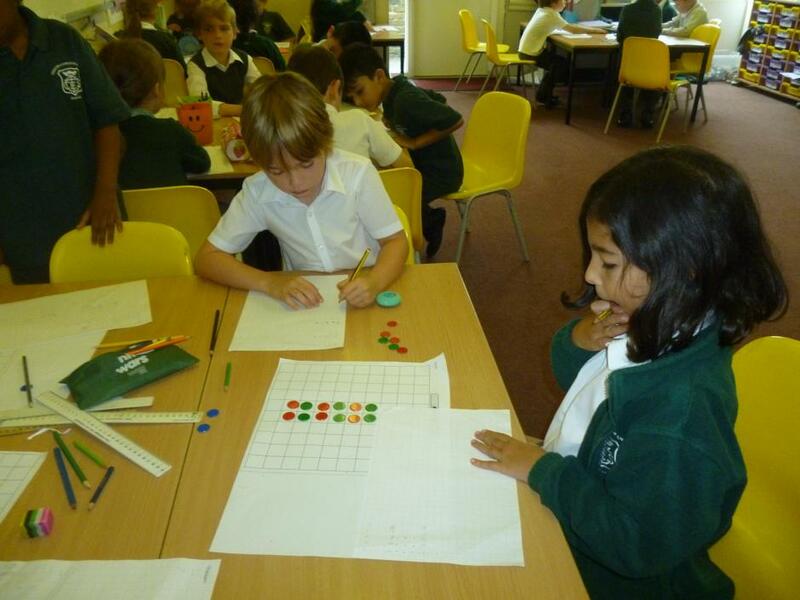 In Year 3 we have been using lots of different equipment to help us with our maths. 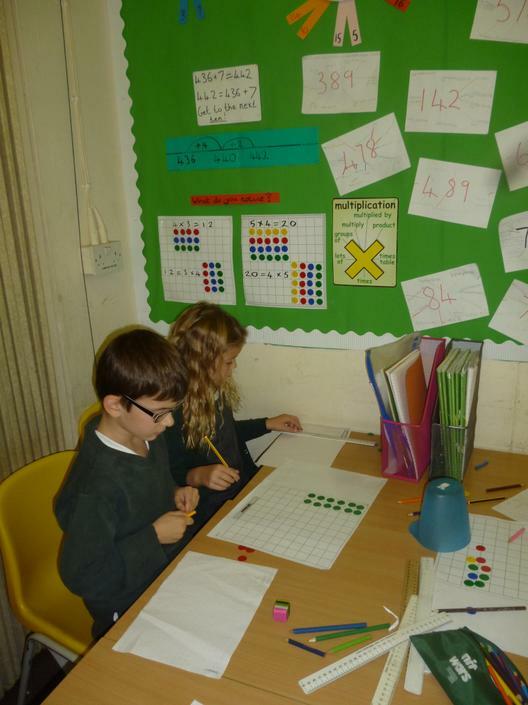 Making arrays to help with multiplication.Look at some of the arrays we made and see if you can work out the multiplication calculation. 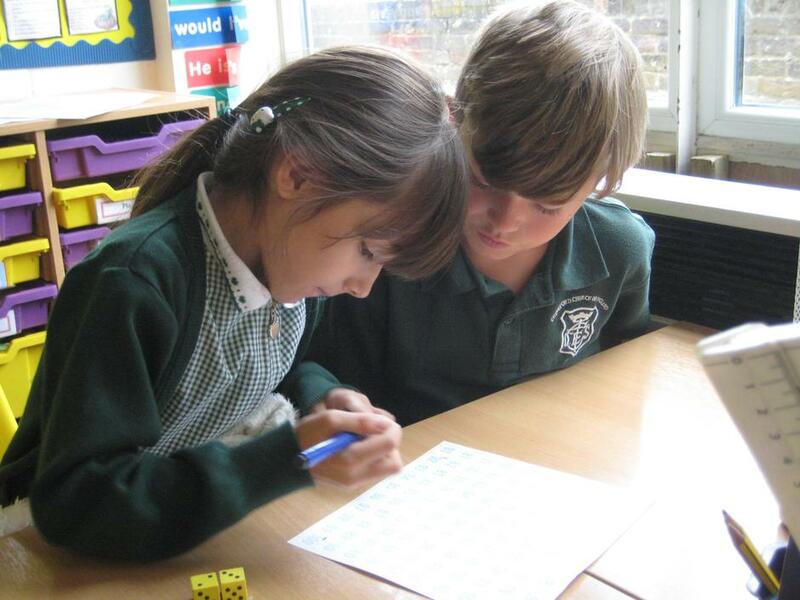 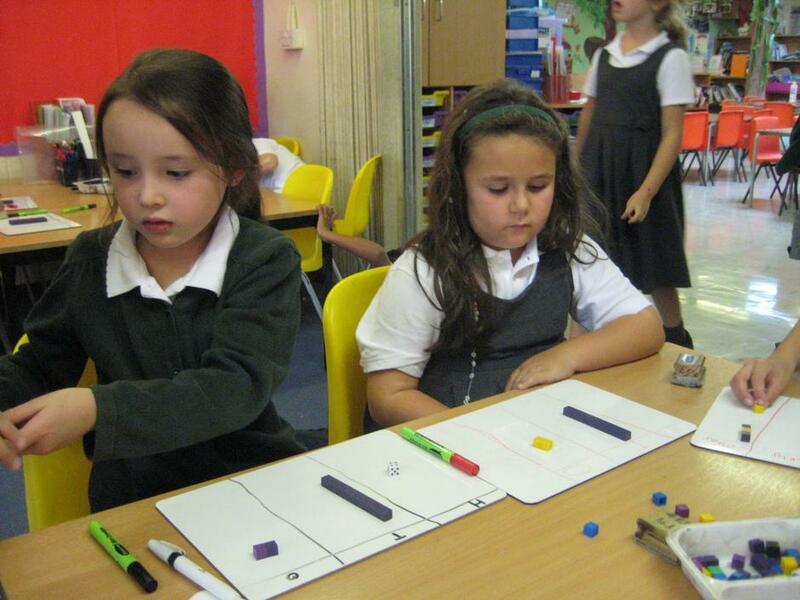 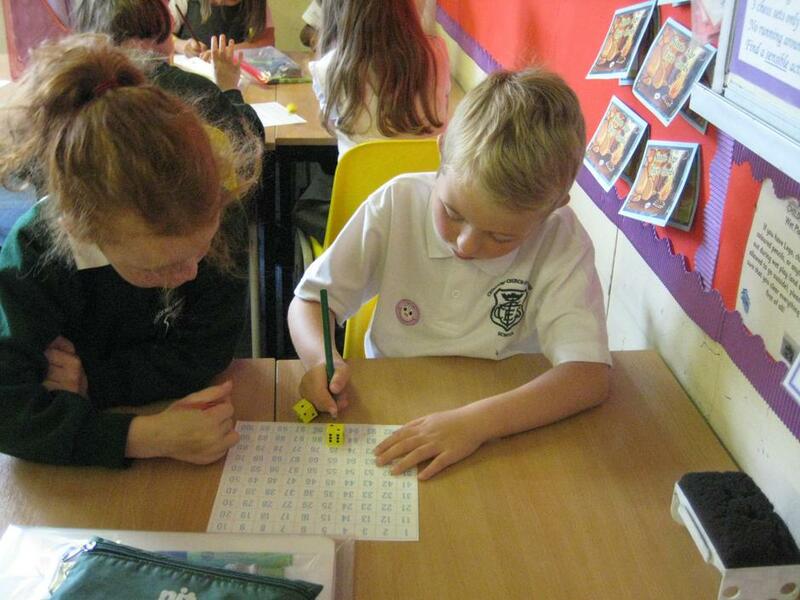 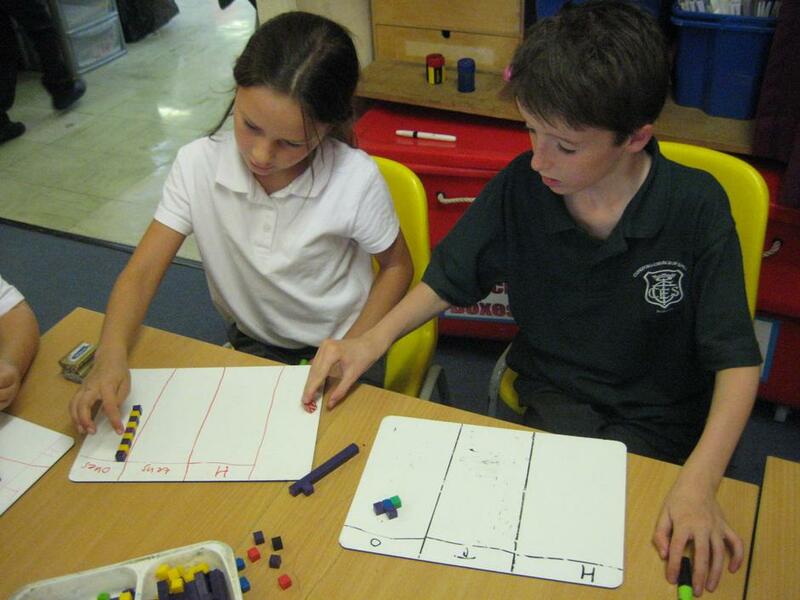 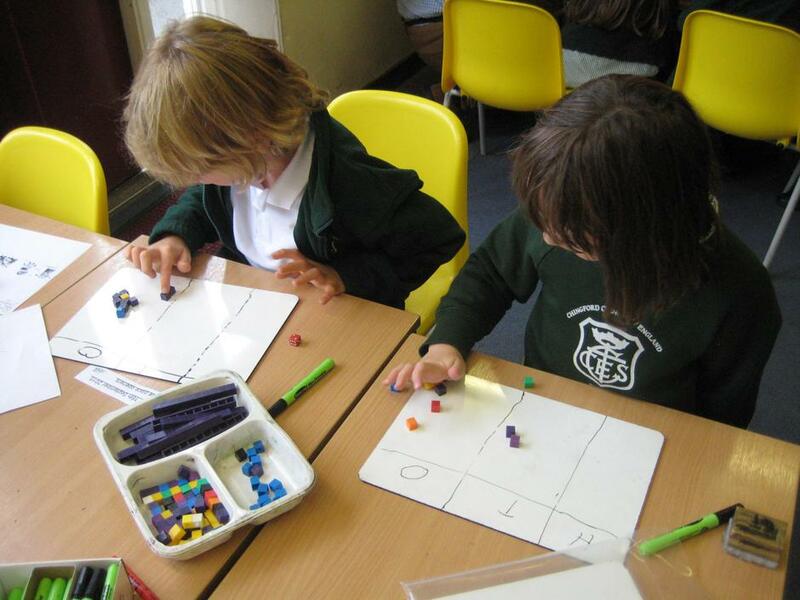 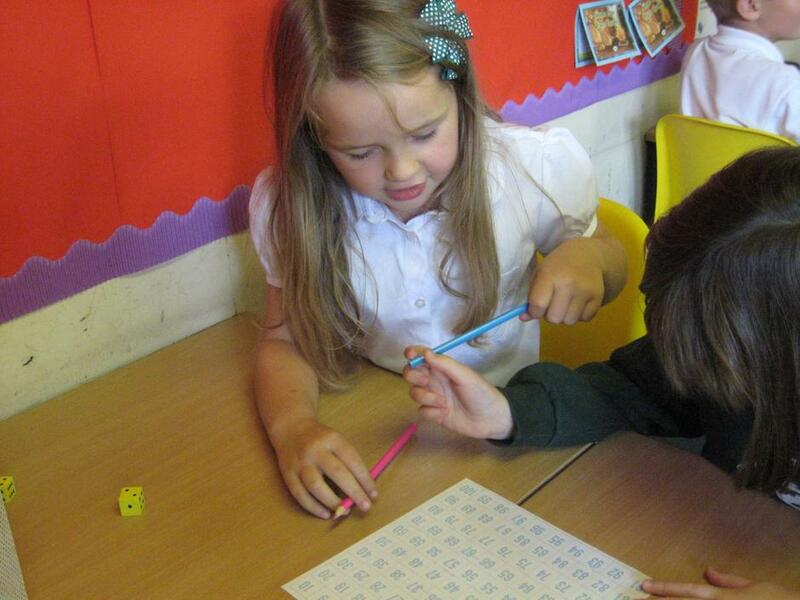 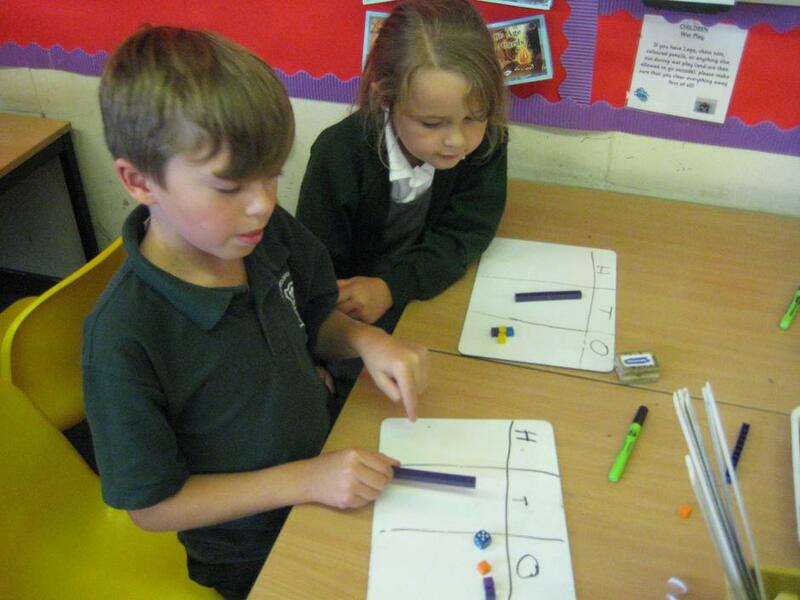 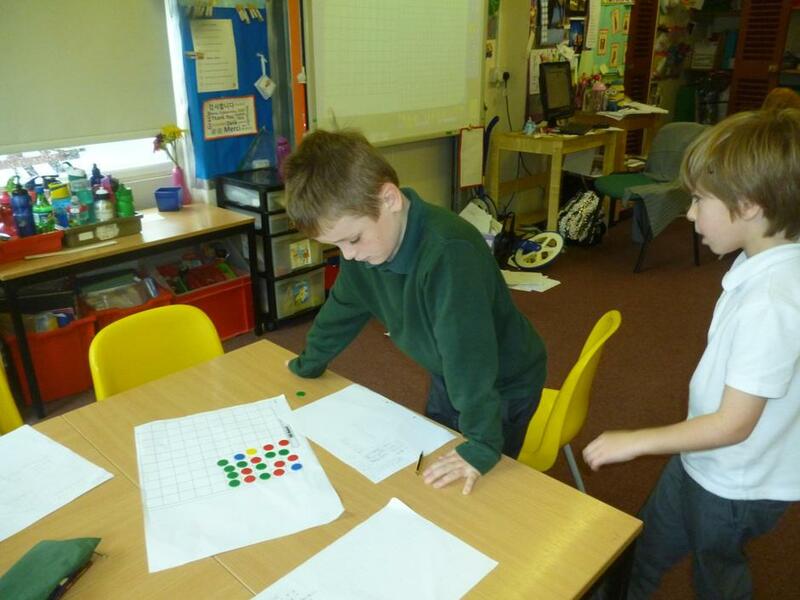 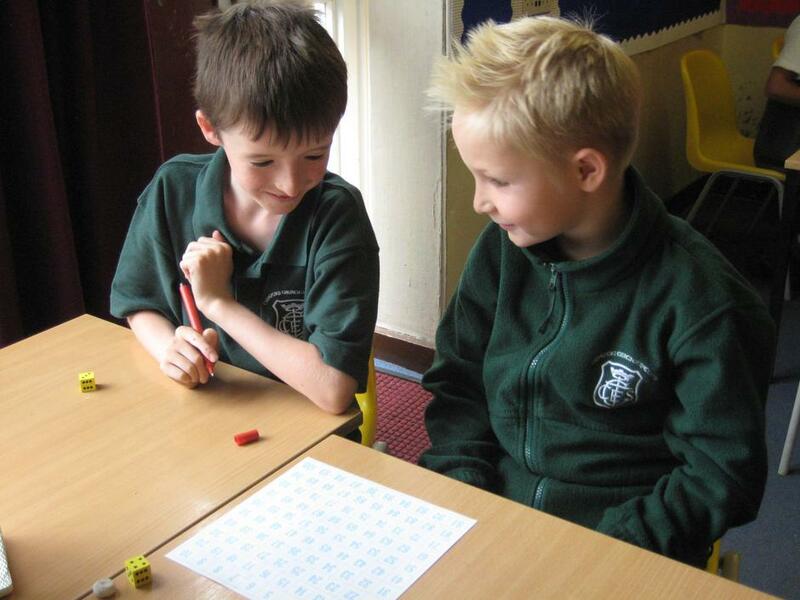 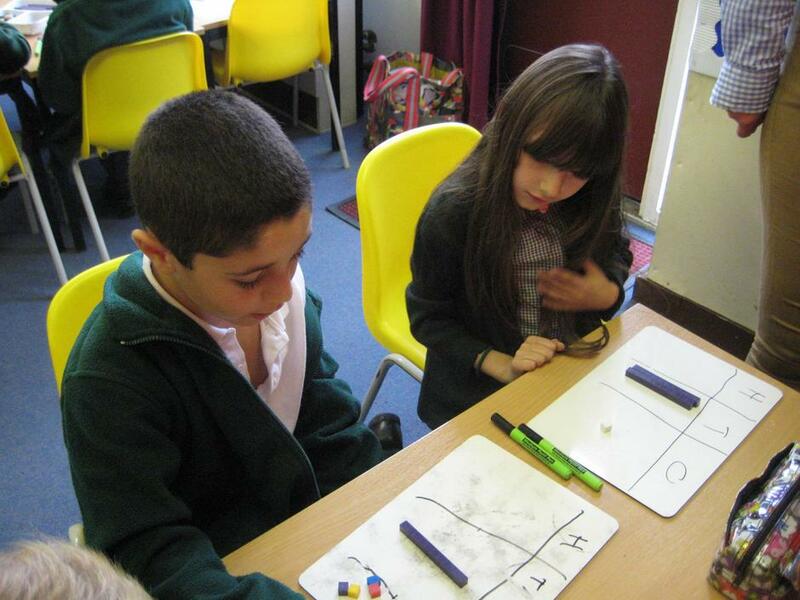 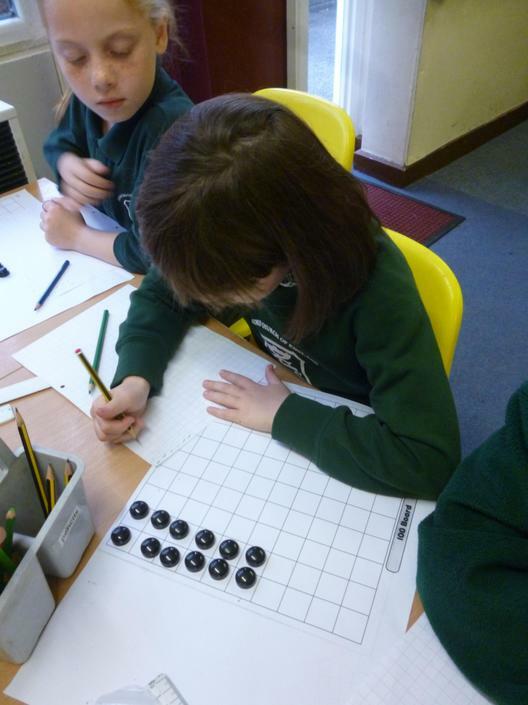 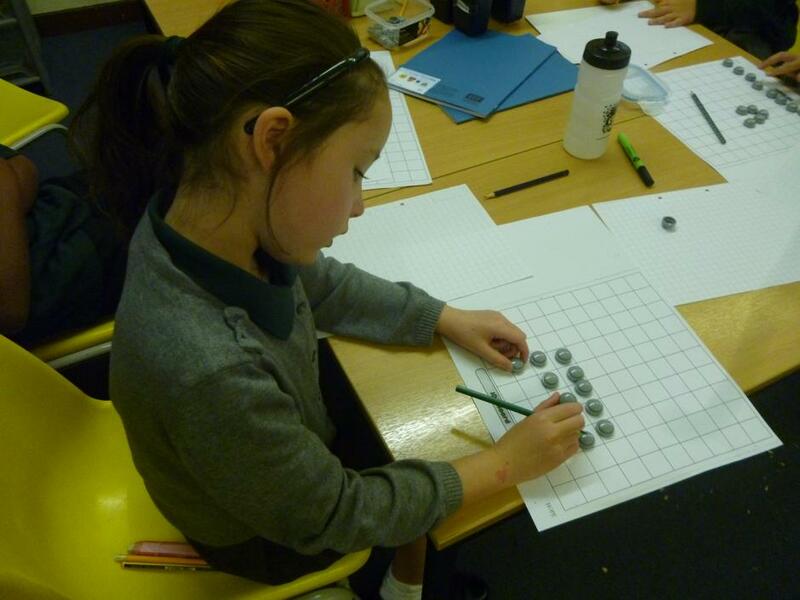 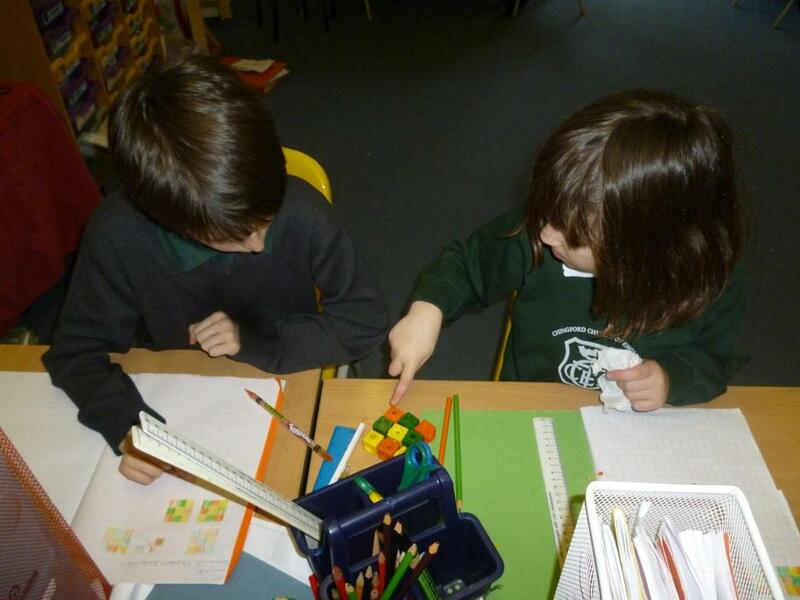 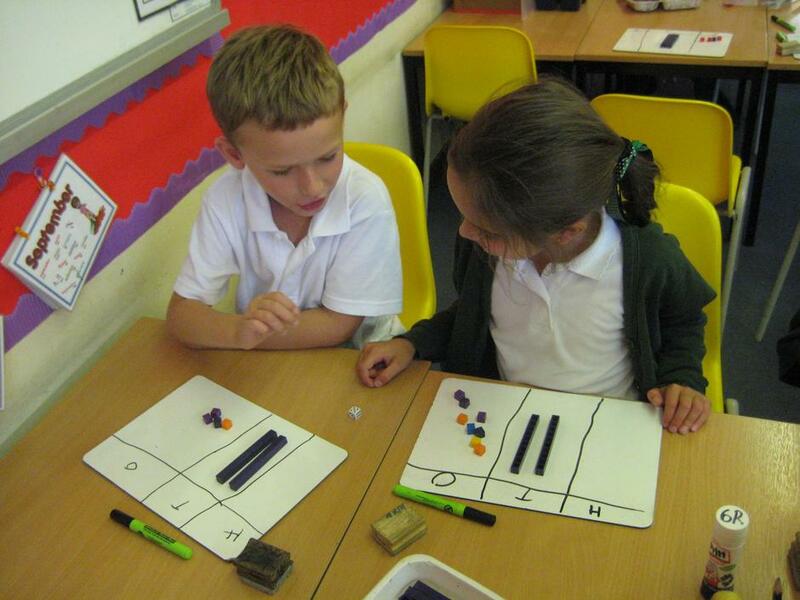 Here we are using a hundred square and dice to play addition and subtraction games. 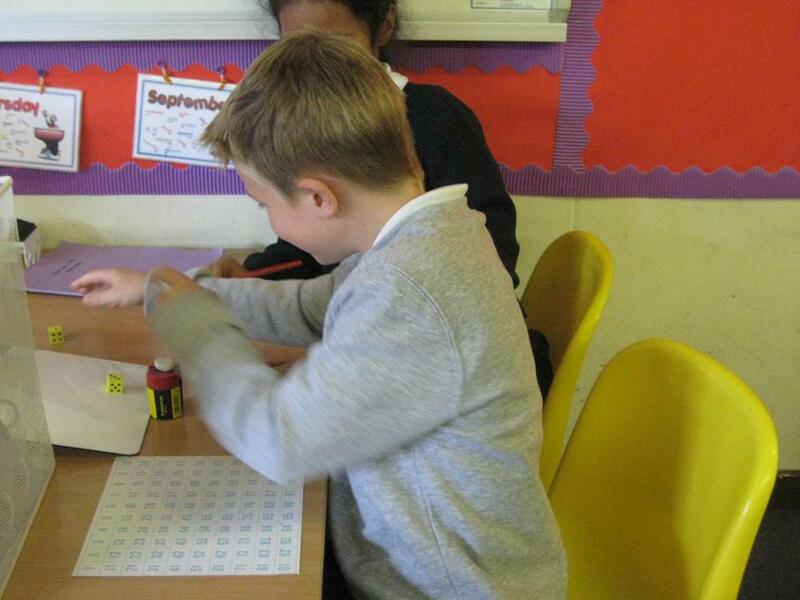 Using Deinnes apparatus to help us with place value. 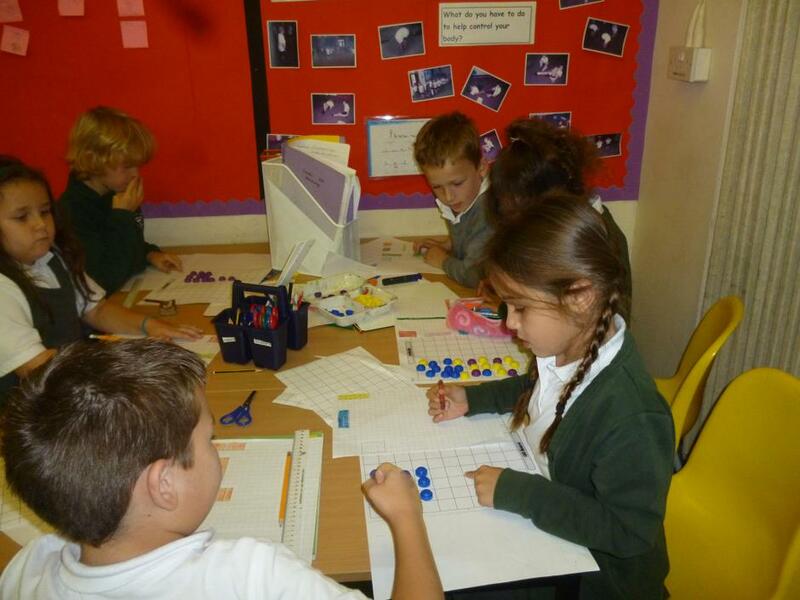 Look closely at the tens and ones on our boards and work out the numbers we have made. 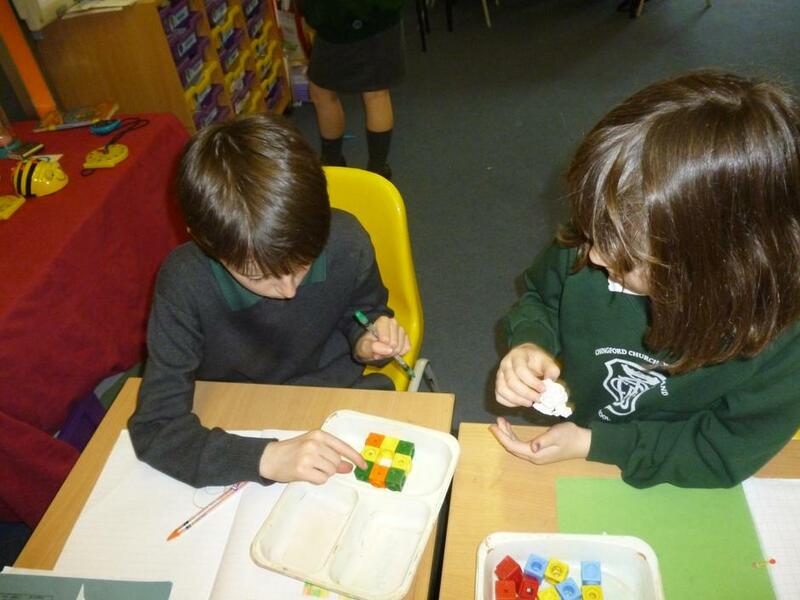 Problem solving..... three red cubes, three yellow cubes and three blue cubes...... How many different ways can they be arranged in a square so no two same colours touch?